Sixty-nine medical students marched across the Music Hall stage on Friday evening, June 5, 1936, during part of the University of Cincinnati’s 58th commencement exercises. Alfred Friedlander, MD, dean of the UC College of Medicine, handed each student a diploma recognizing their Doctor of Medicine degree. 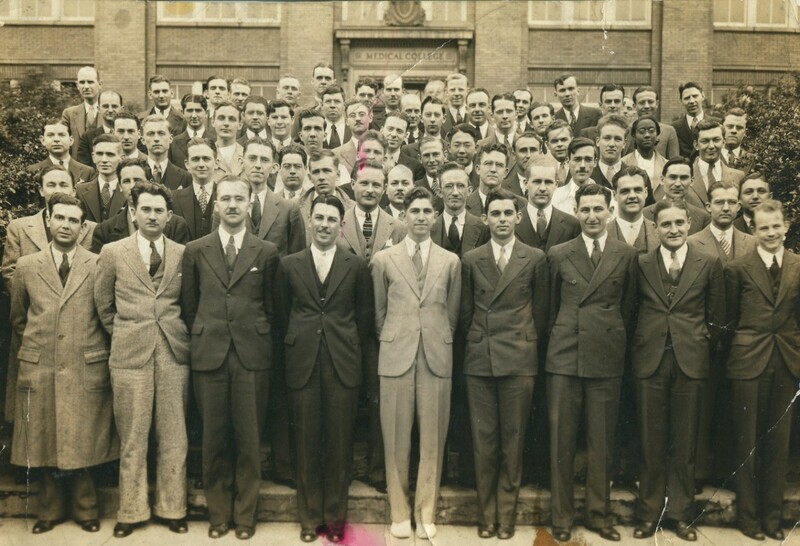 Each had performed the required four years of coursework and then completed a hospital internship during the 1935-36 academic year. Each was a white male. Lucy Orintha Oxley was the lone woman in the graduating class. She also was the only African-American clutching a fresh diploma, the first person of color ever to receive a medical degree from the College of Medicine. Since the medical school’s first commencement on April 4, 1821, more than 5,600 medical degrees were handed out at 116 graduation exercises. Lucy was the first of her race to become a graduate of the UC College of Medicine. On Nov. 13, 2018, the college again recognized Oxley and her pioneering efforts with the unveiling of a commemorative panel recently installed in the main hallway of the Medical Sciences Building and in the Robert Smith Family Medicine Conference Room. The panel, which offers highlights of her life and medical career, was championed by Philip Diller, MD, PhD, senior associate dean for educational affairs. Diller, who until August was the chair of Family and Community Medicine, also is chair of the advisory board of the Henry R. Winkler Center for the History of the Health Professions. the panel was designed by Lucy Cossentino with UC’s planning, design and construction office. Oxley was not only a pioneer for her race but also for her medical specialty. She was one of the “general practitioners” in Cincinnati in the 1940s who helped found the practice of family medicine. In 1946, she was one of the co-founders of the Cincinnati Society of General Physicians, the forerunner of the current Southwestern Ohio Society of General Physicians. Three years later she helped form the Ohio Academy of General Practice. “While Dr. Lucy Oxley was indeed a courageous student of medicine and a hero of medicine in Cincinnati as well as a wonderful doctor and deeply dedicated to her patients, she was so much more. Dr. Lucy Oxley was a Renaissance woman with so many talents in areas of knowledge, but frankly, she was our Grandma Lucy,” Janis Smith-Gomez, one of Oxley’s four granddaughters, said at the unveiling. “She was intellectually curious, she was a lifelong learner. Always reading and training and raising her level of knowledge and expertise,” she added speaking for two of her sisters and other Oxley family members present for the event. “Grandma Lucy was a pioneer and a servant leader committed to the community. She was passionate about her patients and their families. She hosted fabulous holiday parties for all to celebrate and she took enormous pride in all she brought into this world. 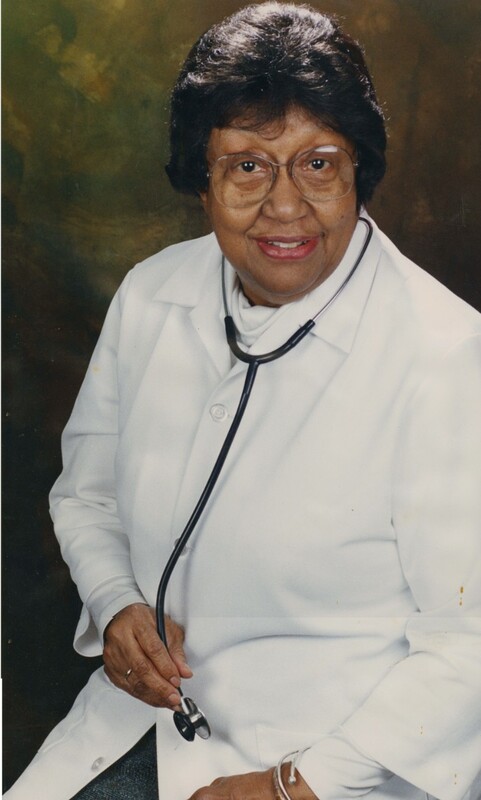 Grandma Lucy was also a mentor especially to people of color in medicine who came after her. She always reached back and grabbed a young hand to lead up the ladder of success,” Smith-Gomez said. Oxley was born in Harrisburg, Pennsylvania, in 1912. Three years later she moved to Cincinnati when her father, the Harvard-trained Rev. Edmund Oxley, was named rector of St. Andrew’s Episcopal Church. She would graduate from Woodward High School at age 16 and enroll in UC’s six-year undergraduate and medical program. Oxley said the decision to become a doctor “was chosen for me. I was a doctor from the day I was born. I had a lot of doctors in my family.” And it was due to a family member that she wanted to go to the UC College of Medicine. Rev. Oxley brought his brother, George Leonard Oxley, to Cincinnati and helped him enroll in UC in 1919. He completed two years of undergraduate work before starting his first year of medical school in the College of Medicine in the fall of 1921, making him the first African-American medical student in the school’s history. However, before long, he was having trouble with one of his professors because of his race, Lucy Oxley would recall. He eventually left the school during that academic year, but went on to receive his medical degree from Meharry Medical College in Nashville. Two other uncles also were role models for her. Leonard’s brother, James Oxley, MD, received his medical degree from the University of Edinburgh, and the brothers practiced together for years in Harrisburg. Another uncle, Ralph Young, MD, was a graduate of Howard Medical College in Washington, DC, and was the first African-American staff physician at Johns Hopkins Hospital in Baltimore. Being an Oxley and being “the first” was a common occurrence. After receiving her Bachelor of Medicine degree in 1935 – UC medical students during that era received their bachelor degree after four years of study and then their medical degree following a yearlong internship – Oxley went to Freedmen’s Hospital in Washington, DC, and completed her internship during the 1935-1936 academic year. She joined her classmates back in Cincinnati in June 1936 to receive her medical degree. She also earned a Bachelor of Science degree at UC in 1933. Immediately after college, Oxley served as the medical director for student health at two historically black colleges: Bennett College in Greensboro, North Carolina, and Wilberforce College in Wilberforce, Ohio. She returned to Cincinnati in 1940 with her infant daughter, Francine, who would later marry John Smith, MD, UC College of Medicine Class of 1964. Oxley opened her practice initially using her father’s home study as her office. A year later she started seeing patients in an office in Cincinnati’s West End. She would continue her general practice when she started working in 1945 as a cancer researcher at Cincinnati’s Institutum Divi Thomae, an independent research laboratory led by George Sperti. Sperti was a fellow UC graduate who gained international fame for his discoveries that included the Spertti ultraviolet lamp, the technique for freeze-drying orange juice concentrate, Preparation H and Aspercreme. Oxley returned to full-time practice in 1952 and later that decade moved her office to East Walnut Hills where she became a fixture and role model in the community. She treated patients of all races and delivered thousands of babies. She continued with her Family Medicine leadership serving as president of the Southwestern Society of General Physicians from 1979 until 1981. She became the first woman and African-American to receive the Physician of the Year award from the Ohio Academy of Family Physicians in 1984. Each of the next two years she would be runner-up to the Family Physician of the Year in the United States. Oxley died of lung cancer in 1991. Throughout her illness, she continued to care for her patients. A scholarship fund was established by her family when she died. 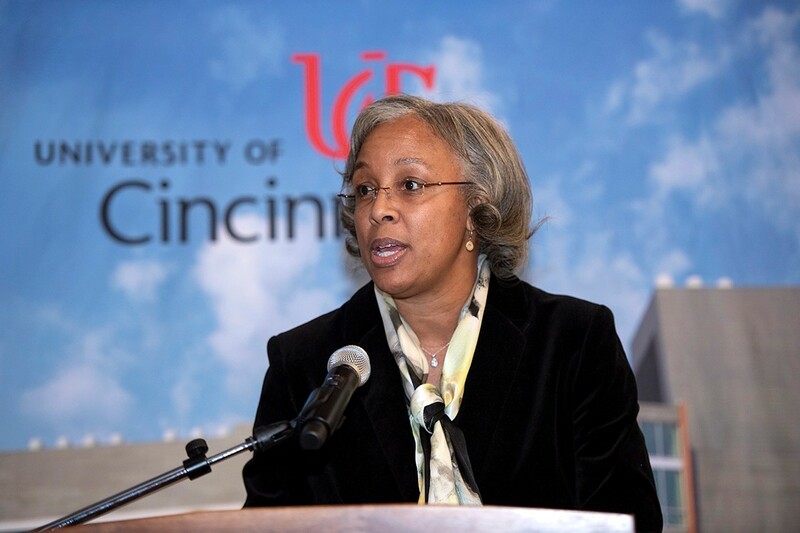 In 2008, Kenneth Davis Jr., MD, UC professor of surgery, and his wife, Johnie, established the Lucy Oxley African-American Medical Student Scholarship at the UC College of Medicine to honor her legacy and provide funding for minority medical students. Oxley had been a patient of Davis for a brief time before her death. 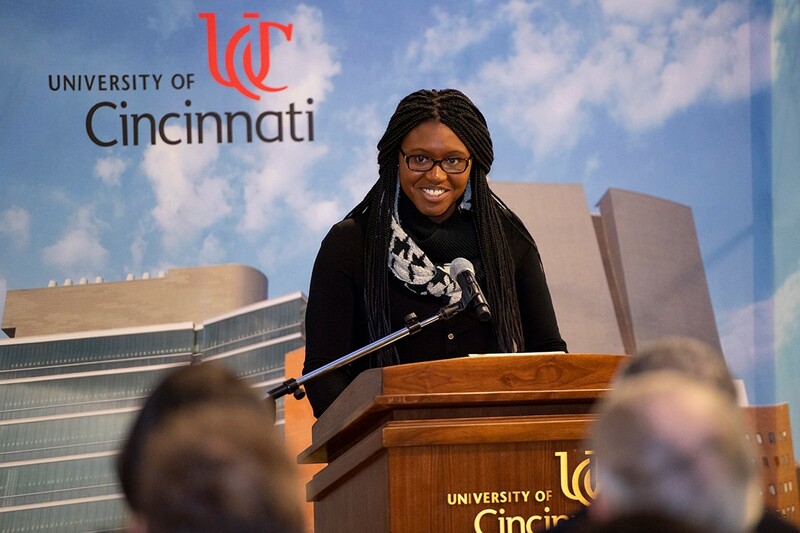 At the unveiling, Christa Nnoromele, a fourth-year UC medical student and Oxley Scholarship recipient, described how “UC seemed to be the place I wanted to be” when she was searching for a medical school. However, the Richmond, Kentucky, native soon realized she would need to go somewhere else because of finances. As she was writing an email to the college releasing her seat, she said she received a phone call from Mia Mallory, MD, assistant dean for equity and inclusion, informing her of her Oxley Scholarship. She quickly accepted the offer to come to the UC College of Medicine. In conjunction with the permanent panels installed in the building, the Donald C. Harrison Health Sciences library has created a display of photographs, articles and documents regarding Lucy Oxley, including a letter from Olympian Jesse Owens. The display is available for viewing on the main floor of the library through mid-April.